december is here and the holiday season is upon us! i can hardly believe that christmas is right around the corner. 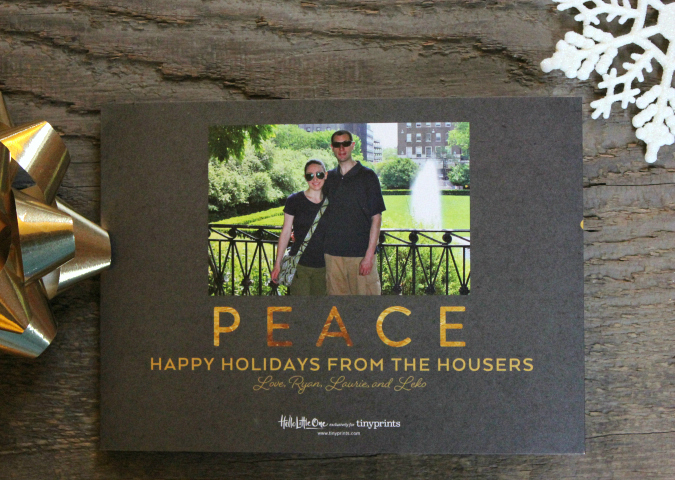 ryan and i absolutely love sending holiday cards each year. we especially love photo cards since they are such a nice way to share little snapshots of the past year with our family and friends. 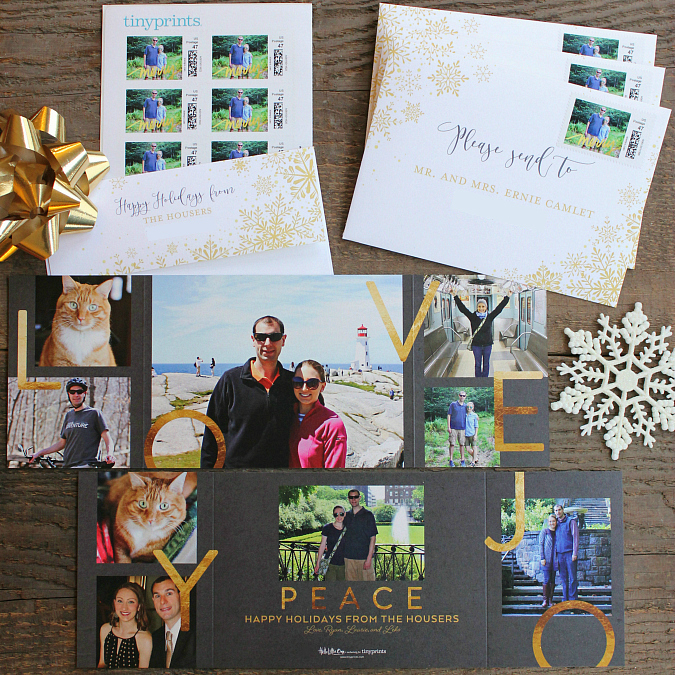 we are thrilled to be teaming up again with tiny prints this year for our holiday cards because we love their products and because they are a one-stop shop for all of our holiday card needs. 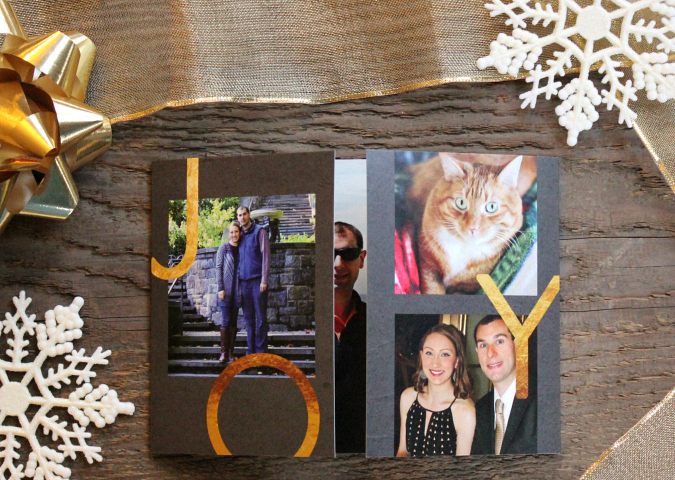 tiny prints makes it so easy to customize cards. all we had to do was pick our favorite design, add our photos, and add our personal message along with our names. it only takes a matter of a few minutes from start to finish, which is perfect for our busy schedules. we really love cards that allow us to display multiple pictures from the past year. after looking through hundreds of holiday card options, we decided on one of the gate fold designs which are new for 2016! we picked this card which is called "living in love" in the flint color and the pearl white shimmer finish. 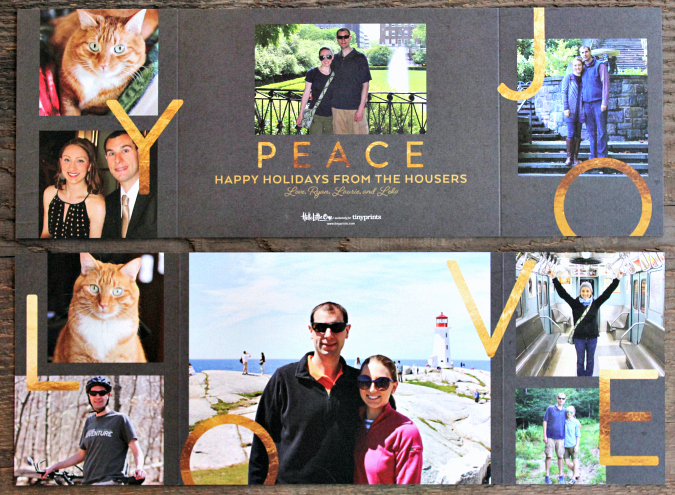 it was the perfect card for us because we were able to display photos on all sides! 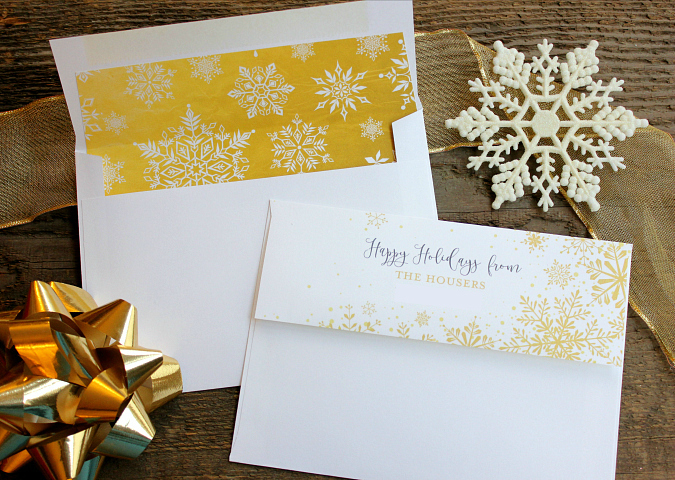 to accompany our holiday cards, we chose envelopes to match in the "snowflake dust" design and we embellished our envelopes with snowflake envelope liners. 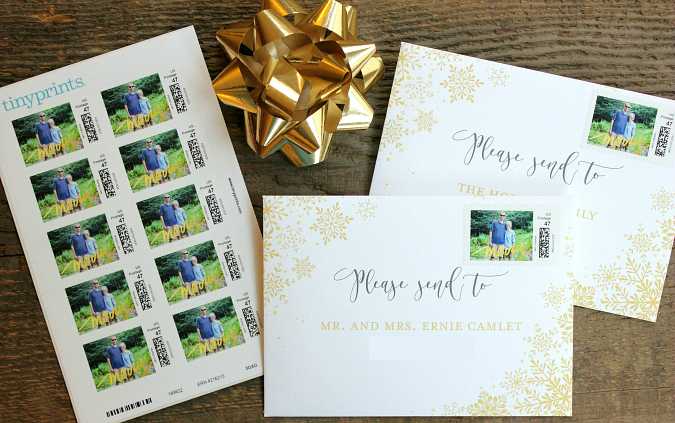 to complete the look, we created personalized holiday postage photo stamps. 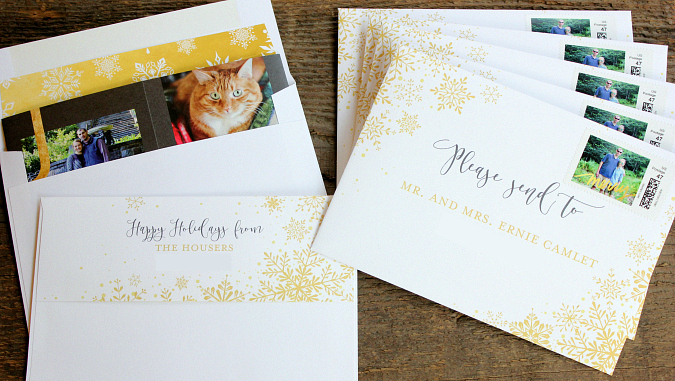 we chose the "merry trails" stamps in marigold. as much as i love sending cards, it is so time consuming to write out all of the addresses by hand. 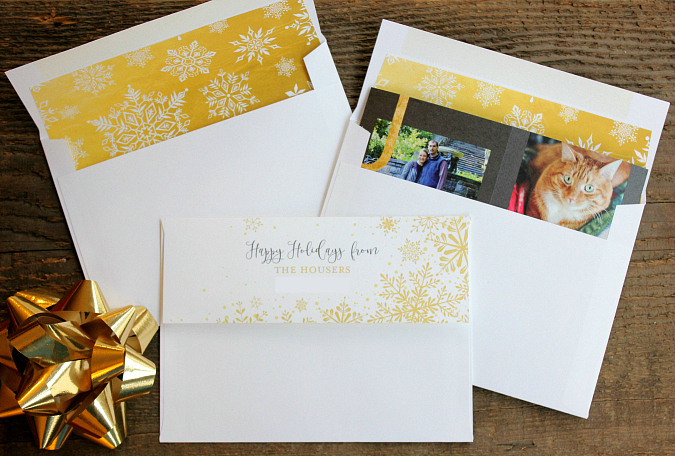 thankfully, tiny prints helps out and does the work for you by offering free recipient addressing on custom envelopes! they printed our return address on the back of the envelopes and printed all of our recipients' addresses on the front of the envelopes. talk about a life saver, goodbye hand cramps! when our cards arrived in the mail, all i had to do was stuff and send them. easy peasy! we are beyond thrilled with the way our cards turned out this year and we can't wait for our family and friends to receive them in the mail! Can't wait to get our card. I love the front cover. Leko looks 3D in that picture.